For the third (fourth?) 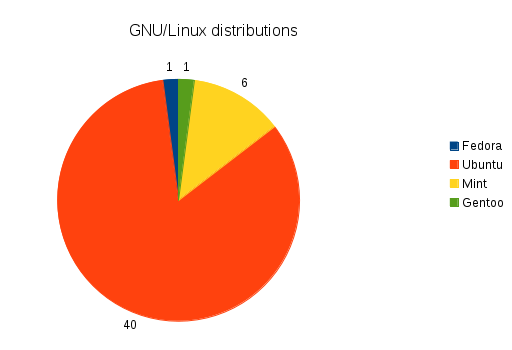 year we’ve collected some facts on software tool usage from the students during the oral exam of the project Industrial IT and Embedded Systems at Chalmers University of Technology and Gothenburg University. Question 1. 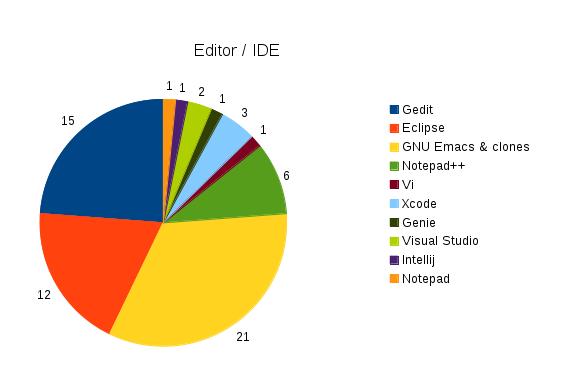 What was your primary IDE/Editor when developing code? Question 2. 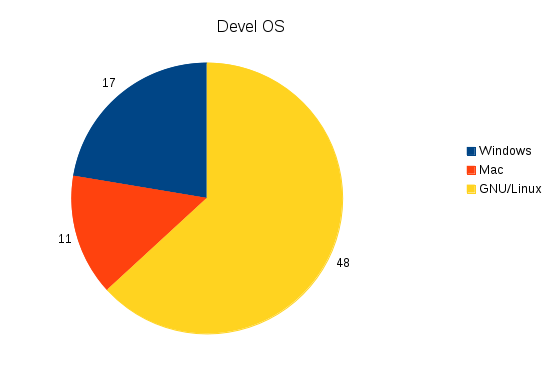 What was your primary OS when developing code? Question 3. 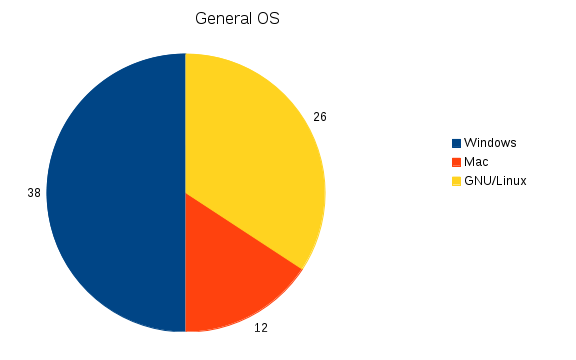 What was your primary OS when not developing (write documents)?